The Benchmark table is quite simply the most space-efficient mobile table in the world. The ultra slim and ultra compact design offers adjustable table heights accommodating your everyday cafeteria needs. 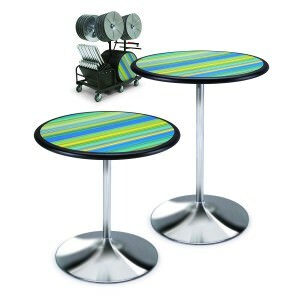 Our Espresso cafeteria tables add more than a touch of cafe culture. Stylish, durable and lightweight – our Espresso mobile cafeteria tables add more than a touch of café culture to your school dining room. 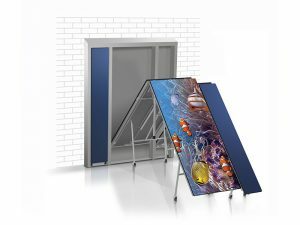 Wall Pocket system is revolutionising school lunchtimes with it’s next-generation space-efficiency. When space and capacity are at a premium Wall Pocket provides the best solution with dining furniture that stores on the wall. Versa’s range of mobile folding tables is perfect for primary and secondary schools, colleges and universities, and any other dining environments where space is at a premium. In short, we help to create the most optimised dining spaces to suit your own particular requirements. Our versatile fixed and mobile tables help to maximise space and deliver flexibility without the need for expensive construction or bulky unmanageable furniture. We think of them as heroes. Let us show you how they could transform your school or college by giving you back valuable space. 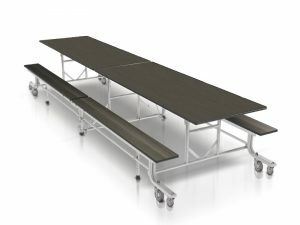 We are the UK’s leading supplier of mobile folding tables for primary schools, secondary schools, colleges and universities. This is just one of the many reasons why schools and colleges nationwide source their furniture from us. Why don’t you join them?